The people's choice! This silver plated keyring in rounded 'diamond' design is easily one of our most popular keyrings for corporate gifts and merchandise. 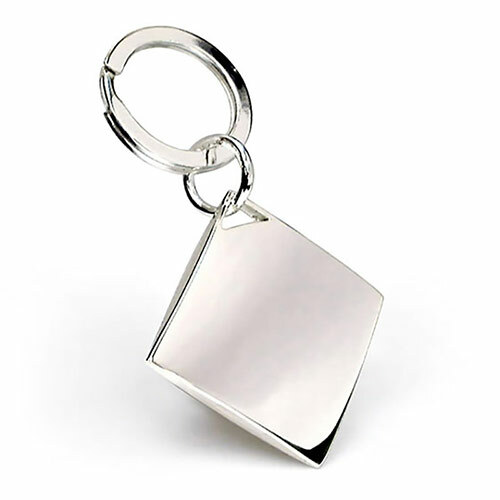 With a smooth, uncluttered surface perfect for engraving, this silver plated keyring looks fantastic with a company logo or marketing message engraved on it. Business Gift Supplier offers FREE ENGRAVING on all orders so you can customise your silver keyrings with a company or brand logo at no extra cost. We also offer low, fixed price UK delivery and bulk order discounts (see price matrix, above).